Gilmore Girls fans are HYPED for the show to finally arrive on Netflix later this year, and now it looks like there’s a reason for fans of the late, great Parenthood to get excited about the revival as well. Actress Mae Whitman will be making a cameo in the new series. 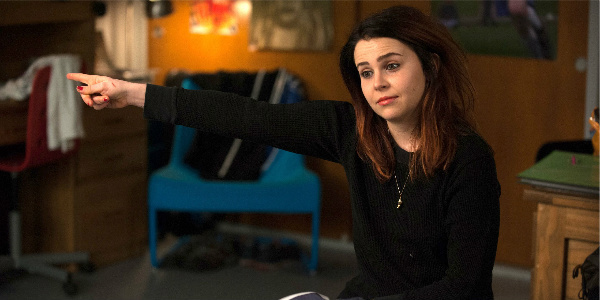 A report from TVLine tells us that Mae Whitman, who co-starred on Parenthood as the daughter of Lauren Graham (a.k.a Lorelai Gilmore), will be making a cameo appearance on the show when it returns on Netflix. The series revival, which will be comprised of four, 90 minute episodes named for each season (Winter, Spring, Summer and Fall), will, apparently, feature Whitman in a fun, but really small, cameo with her former on-screen mom. Mae Whitman played Lauren Graham’s daughter, Amber, on Parenthood for six seasons, from 2010 through the show’s end in 2015. Amber was a willful and rebellious, though very smart teenager. She repeatedly made bad choices, though, becoming involved with drugs and alcohol at a young age, even though she resented her own father for his drug use and the fact that he abandoned his family because of it. Amber also had a tumultuous relationship with a young Afghanistan war veteran, which led to her getting pregnant shortly before the end of the series. After making her film debut in When a Man Loves a Woman in 1994, Whitman went on to rack up an impressive list of credits, which currently stands at 129 projects. In addition to Parenthood, she’s appeared in a wide variety of films and TV shows, including Independence Day, Friends, Hope Floats, Chicago Hope, JAG, Grey’s Anatomy, Scott Pilgrim vs the World, Arrested Development and, most recently, The DUFF. Whitman has also done a lot of voice over work for television and video games. She’s lent her voice to The Cleveland Show, Batman: The Brave and the Bold, Robot Chicken, Young Justice, Disney Magical World, and American Dad!, among others. So, we only know a little about what will happen in this awesomely planned cameo from Mae Whitman, and while it’s good to know that she and Lauren Graham will be back together on screen, I’m sure all joint Gilmore Girls and Parenthood fans will want to know more. It’s possible that this cameo will somehow allude to the troubled relationship that Amber had with Graham’s character, Sarah, on the show. Or, it will somehow make note of the fact that Whitman is a self-proclaimed, real life Gilmore Girls fanatic. And, where will this meeting take place? Will Mae Whitman’s character be a guest at The Dragonfly Inn and come across Lorelai at the front desk? Will she pop in at Luke’s Diner and somehow interrupt the constant flow of coffee that Lorelai requires to live? Could she show up at the rumored wedding that the show might be planning? Only time will tell, and luckily, we don’t have long to wait to see the result of this brilliant bit of Gilmore Girls casting for ourselves.